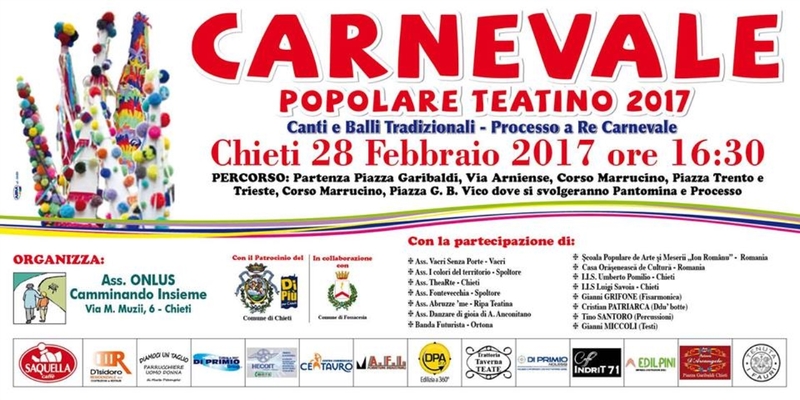 Chlorates conical hats and suits with cowbells gl of Pulcinella Fontevecchia liven teatino the popular Carnival which will be held February 28in the historic center of Chieti. 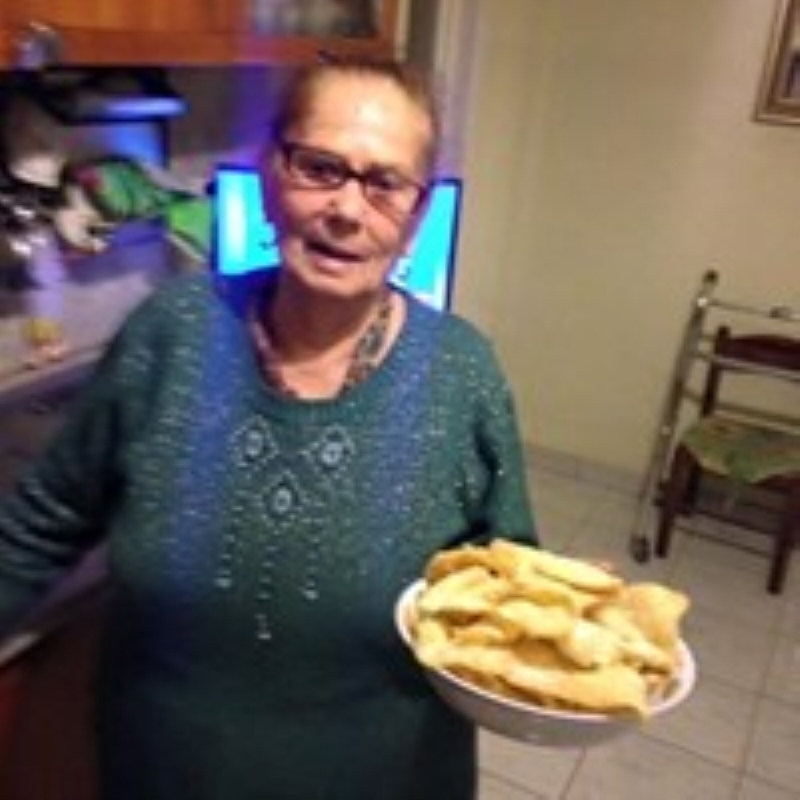 The event, organized by Walking Together Onlus, provides for the participation and collaboration of different identities and traditionalist associations from around the Abruzzo including Fontevecchia. "We are honored the invitation received by the friends of Walking Together with whom we have already collaborated fruitfully in other events - says the president of Fontevecchia, Luciano Troiano - it is a cultural and identity path in which we are, in fact, walk together to protect Abruzzo traditions and make them known to the young ". The traditional Abruzzo Carnival is a real identity festive, colorful and cheerful. 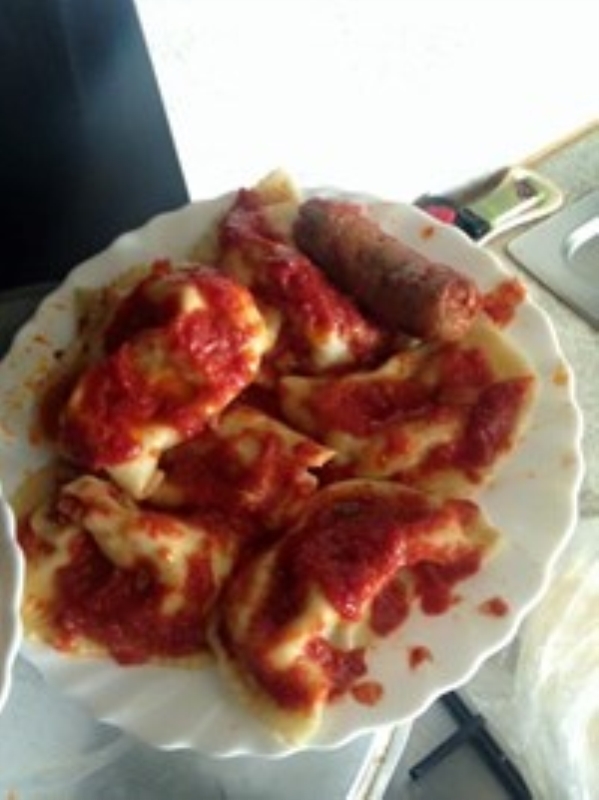 A party thanks to the kitchen which includes, lunch, meat ravioli and sausage, and, in the evening, dinner "de nine mucceche". A widespread event that has ancient roots which Fontevecchia, together with other associations, in collaboration with Walking Together, will be an active part in its February 28 at the popular Carnival teatino of Chieti beginning at 16.30 from Piazza Garibaldi in a cheerful and festive path that will cross all the way from downtown to Arniense Marrucino Corso, Piazza Trento e Trieste until you reach Piazza Vico where you will play the pantomime and Carnival process. To animate the streets of the capital will be the teatino Pulcinella Abruzzo characterized by large conical hat adorned with colored ribbons, signs of seed germination, and the new life that is about to arrive in the fields after the winter break, the belts with bells, the bells sewn to sides of the pants to make noise because the noise is life, noise, also dispels the silence, in a festival celebrating the return to life, must never be. Carnival, then, as a waiting celebration of Lent, Shrove Tuesday they will eat the traditional ravioli before the period of abstinence and how to return the feast of life of nature to celebrate the upcoming seed germination. Organise popular carnival is always great company that, looking in retrospect however seems impossible love for the true values ​​of tradition has provided physical and mental strength. By appointment Tuesday, 28 February at 16.30 in Piazza Garibaldi in Chieti for a popular carnival full of history, memory, play, ritual, involvement, current and future. First, prepare the dough. Place the flour and combine with four eggs and a pinch of salt. Knead until dough is smooth, and let stand for about 30 minutes. Meanwhile, prepare the filling: Boil the spinach in boiling water, then drain, squeeze and chop finely. Put the ricotta in a bowl, combine the spinach, cheese and a pinch of salt and pepper. Mix everything together using a wooden spoon. Divide dough into two parts, then roll out the first part of obtaining a thin sheet of about 2-3 mm. Add dollops of filling on the pastry and then close it with another piece of pastry. Make a light pressure with the fingers of the hand and then cut out the ravioli. Now prepare the tomato sauce to season them. Sauté the garlic in oil, add the tomatoes, a pinch of salt and a few basil leaves. Bake for about 20 minutes over low heat. Now boil the ravioli in boiling salted water, drain al dente, add the sauce and serve.